"And now these four remain: faith, hope, love and chocolate, but the greatest of these is love (and the tastiest is chocolate)." 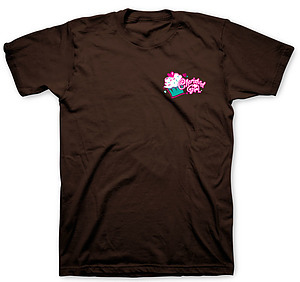 Cupcakes, hearts and swirly writing create a desirable t-shirt, difficult for any girl to resist. But the best bit is this t-shirt's tasty message - love is the greatest thing in the whole world (yes, even better than chocolate). So where ever you go, whatever you do, whoever you become, know that the God of love is following you, his cherished girl. Back: Faith, Hope, Love, & Chocolate! ... but the greatest of these is love. 1 Corinthians 13:13. Cherished Girl. Faith Hope Love & Chocolate T Shirt: Brown, Adults Large was published by Kerusso in September 2012 and is our 41342nd best seller. The ISBN for Faith Hope Love & Chocolate T Shirt: Brown, Adults Large is CGA1351LG. 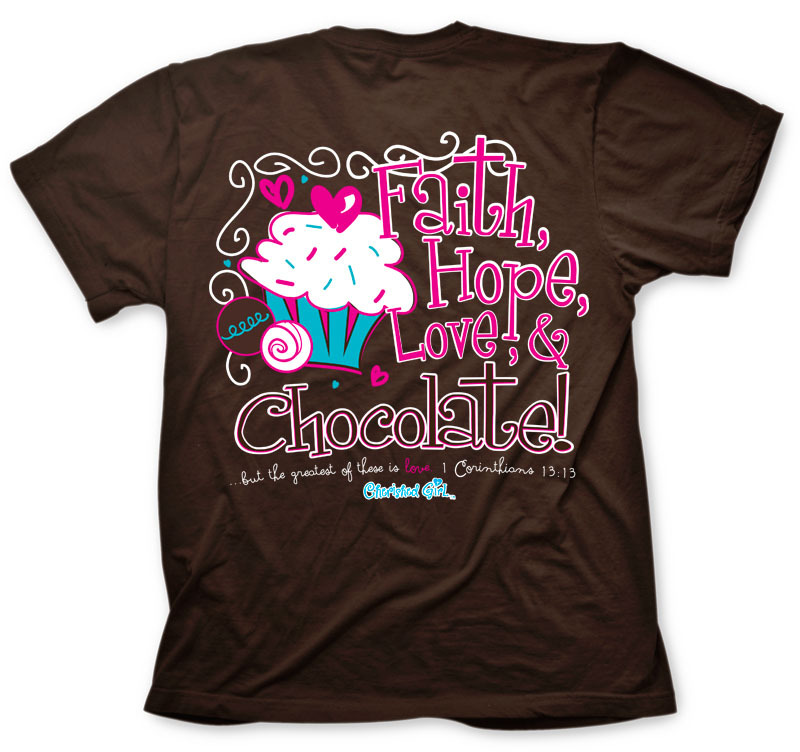 Be the first to review Faith Hope Love & Chocolate T Shirt: Brown, Adults Large! Got a question? No problem! Just click here to ask us about Faith Hope Love & Chocolate T Shirt: Brown, Adults Large.